DOES REFRIGERATOR REPAIR COST A LOT? The price will depend on what kind of a repair the refrigerator needs. We’d kindly ask you to describe your fridge’s symptoms in order to understand what the issue is. You can simply give us an idea over the phone, and we’ll give you a price range. Moreover, if you help us with the diagnostic in advance over the phone, we’ll spend much less time in your home. In general, our average service costs $125-$220. Nevertheless, it can cost more or less depending on certain factors. DO ICE MAKERS BREAK FREQUENTLY? There certainly are brands that have more delicate ice makers, and they do break more often than others. Some machines even have touch-screens, which makes them even more fragile and more complicated to fix. So we would not recommend purchasing a fridge with a touch-screen if durability is of priority for you. SHOULD I TRY DIY REFRIGERATOR REPAIR? We can surely sympathize with people who want to save money and try repairing their fridge on their own. However, this would definitely not be recommended: you might damage your fridge even more. In that case, a more complicated repair will be needed, which will cost you even more. 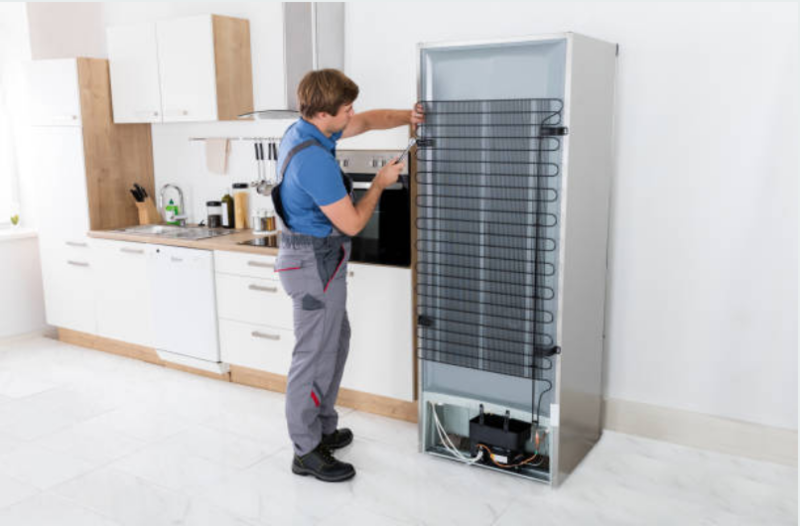 This Refrigerator Repair FAQ still has a lot of room for improvement, but we do update it and add more information whenever possible. Here, we have compiled only the most necessary and commonly asked questions. Nevertheless, if you can’t find the answer to your individual question, don’t hesitate to call us! Our technicians will be happy to help you out. CAN YOU OFFER FRIDGE REPAIR TIPS? ● Leave at least 2 inches between the fridge and the wall from all of the sides. This will ensure proper air flow so that your fridge doesn’t burn out. ● Use the ice maker and the water maker carefully if you want them to serve you for a long time: those are usually the most fragile parts of the fridge. ● Make sure to open and close the fridge door with care. 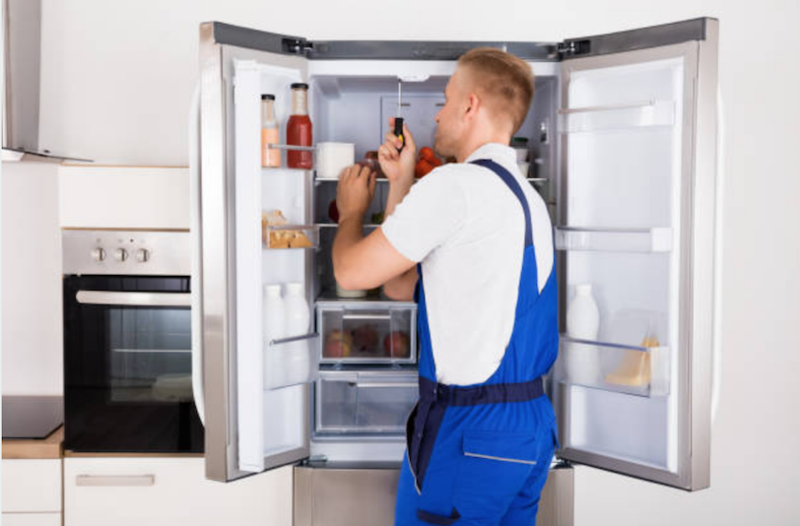 If you need more information on refrigerator maintenance, go ahead and give us a call! IS SAME-DAY REFRIGERATOR REPAIR AVAILABLE? Amongst all the services that we perform, fridge repairs are our number one priority. Despite offering same-day repair for all appliances, we try our best to start out with the refrigerator repairs. That is mainly due to the risk of the food going bad in the fridge if the fans aren’t working. That is why the first question we ask you in case of a broken fridge is whether or not it is still cold inside. If it is, then the issue is definitely not connected with the fans. However, if it is not cold, there is a chance of hundreds of dollars worth of food being spoiled. That is why we will try our best to help you out as soon as possible within the same day.